Purplebricks has been ordered to change what is seen as misleading advertising on their website after a set of complaints against it were upheld by the Advertising Standards Authority (ASA). 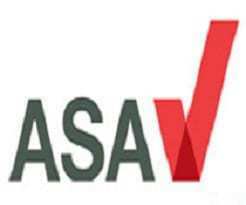 The ASA action required that the advertisement must not appear again in the form complained of. The ASA stated: We told Purplebricks Group plc to ensure they made clear immediately and prominently that their viewings service had a separate fee, payable in addition to the £849 ‘standard’ price, and that fees would always be payable whether or not a consumer’s property was sold and potentially before a sale was complete. We also told them to ensure that, when comparing the price of their service with that of traditional agents they made sure that any savings claims were accurate for all consumers by, for example, giving consumers the option to include the cost of the additional viewing service when using the comparison tool. The adjudication comes after franchised estate agency group Hunters originally complained in October 2017 to the ASA about three seperate claims about the advertising on the Purplebricks website, which the hybrid agency agreed to amend. Hunters went on to appeal the decision insisting that it was misleading to claim vendors could instruct Purplebricks to sell their homes for £849 because it was not clear that viewings were extra. Read the ASA ruling 27th June 2018 in full click here.